Oct-May: North Church, 4222 Hamilton Ave.
Do you love food? Do you enjoy knowing where your food comes from? Would you like to get your groceries for the week and have fun while you do it? Have we got an event for you! The Northside Farmers Market, a year-round farmers market offering fresh vegetables, fruit, meat, baked goods, eggs, body products, and more, is hosting the 12th Annual Release Party for the CORV Local Food Guide. The CORV local food guide is a booklet that is printed once a year and includes information about where you can get local produce, wine, meat, and more in our Central Ohio River Valley region. The CORV Local Food Guide Release Party will be April 24 from 4-7pm at the Northside Farmers Market, 4222 Hamilton Ave. There will be paella from LaSoupe, kombucha from Fab Ferments, live music from Better Together, kid’s activities, and information from organizations from around the region. Come learn how to reduce food waste, how to compost the food waste you do have, what the City of Cincinnati is doing for this month’s Year of Sustainability, and how you can become more active in your community. Sign up for Green Umbrella’s 10% Local Food Pledge and vow to shift 10% of your food buying power to local establishments. Enter a raffle to win a bag full of market swag, a year-long membership to Gorman Heritage Farm, and a collection of great cookbooks and cookingware. Bring home a CORV guide hot off the presses and a bag full of local, delicious food from the Northside Farmers Market. Enjoy your favorite vendors outside in the fresh air beginning May 8th. Find out who is joining us here. ​Interested in applying for the 2019 Outdoor season? Space is still available. 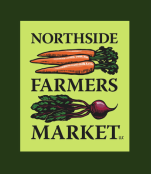 The Northside Farmers Market is a year-round farmers market dedicated to providing items produced within 70 miles of Northside. We have fresh produce, meats, cheese, baked goods, bread, honey, handmade body products, prepared foods and more. We are a space for neighbors to meet, children to learn how to cook, and families to engage with their food. 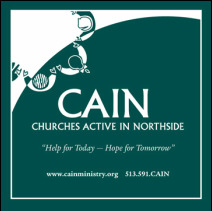 Thank you for being our partner in feeding Northside and the greater community. As declared by the Secretary of Agriculture, August 5-11th is National Farmers Market Week this year. But really, why celebrate local food for only one week a year? Click here to learn our 6 ways to celebrate the holiday any time of year. Interested in a partnership or a sponsorship?